For the safety and security of all our guests please observe the following. • This is a family and pet friendly farm. Please drive slowly when maneuvering your vehicles in the campground. Speed limit is dead slow. 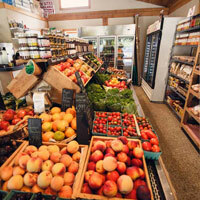 • Ice, firewood and grocery items are available at the market. • Check in is 1:00 pm. Check out is 11:00 am. • Quiet time is 10:00 pm to 7:00 am. • No smoking in bathrooms and all campground buildings per Provincial laws. • One motorhome and 1 vehicle or 1 trailer and tow vehicle per site. Please park all other vehicles in guest parking area. • Campsite prices are $40 per night based on max four (4) persons per site per night. • Campsite occupancy is six (6) persons, with maximum 4 adults. • Additional adults are $6 each, per night, before taxes. Additional children aged 6-12 years are $3.00 each, per night, before taxes. Children under 6 are free. • Minimum 3 night stay on all Long weekend reservations. • Extra tents on site $10.00 per night. • Maximum length of motorhome that we can accommodate is 45 feet. We have no pull through sites. • We require Visa or MasterCard to confirm reservations. We do not accept personal cheques. • Cancellation Fee: one (1) night’s campsite rental plus applicable taxes will be charged to the Guest’s credit card on file if a reservation is cancelled within 7 days prior to arrival date. • If you are a no-show, your reservation will be cancelled and a cancellation fee of the full stay will be charged to the credit card on file. • Full payment is due upon check-in. This is payable by Visa, MasterCard, Debit or cash. We do not accept cheques. • All prices are in Canadian dollars and do not include applicable taxes. • All guests staying one month or longer that wish to pay by credit card will be charged a 2.5% card administration fee. Debit, cash and E-transfers are also accepted. 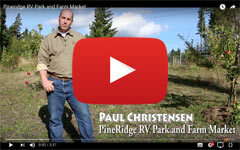 The Pine RV Park is not responsible or liable for accidents, personal injury or lost or stolen property. Please advise management/staff immediately of any concerns in the campground. • Firewood is available for sale during market hours. • All fires must be monitored carefully and fully extinguished by 11:00 pm. • All campfires must be in the fire ring which is provided by the park. • All visitors must park in visitors parking and exit the campground by 11:00 pm. • This is bear country. Please do not leave food or garbage in campsites when vacating park. • Garbage dumpster is behind market. • Recycle containers are next to the garbage bin. • A $25 fee will be applied to guests that do not clean up their campsite prior to their departure. We are on a septic system. To maintain its ability to properly function and comply with health regulations. • Only normal holding tank contents into the provided service island sewer intakes. • All drain hoses require the proper adapter to fit the 3” or 4” bayonet or foam seal in order to be leak and odour free. • Drain hoses should be properly supported to allow adequate drainage. • No formaldehyde or bleach holding tank chemicals should be used as they WILL cause septic system failure and could cause contamination of the ground water. • Use only RV toilet paper please (available in market). • Please do not use rocks to hold your sewer hose connection in place. Please use the proper screw in adapters. • Maximum 2 pets per site. 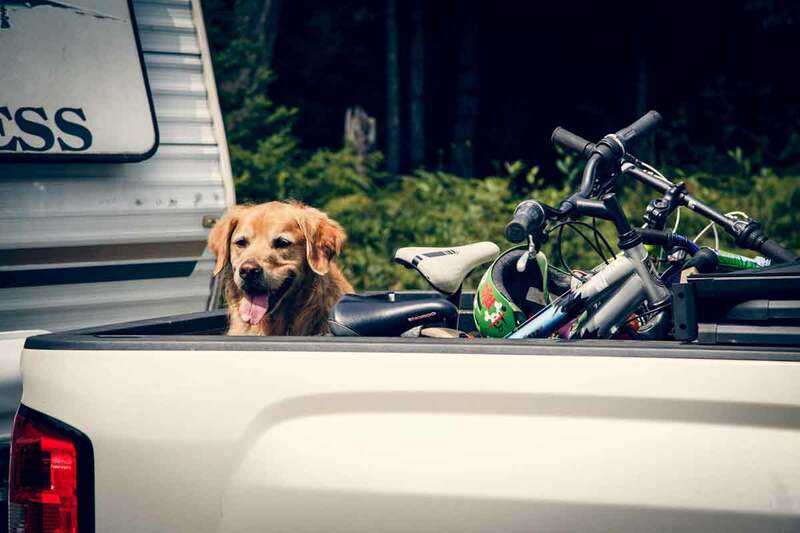 • All pets must be leashed when they are outside your RV/trailer. • Pets must not be left unattended outside of your rig. • Pets are not permitted in the Market/Office as per BC Health Regulations. • Please clean up after your pet.